The Brilliant Mono-Tech : Unique & Unequalled high end MOTO-TECH technology (Weigh Sensor) to match the highest international standards. Excellent Readability : High-contrast, backlit display 15mm digit size is exceptionally easy to read under any room lighting conditions. 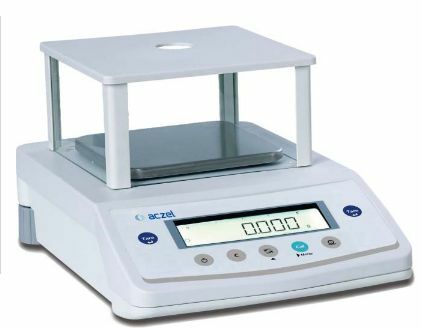 Perfect Self Auto Calibration (PSAC) CY-C Series : When the ambient temperature changes by a specific value or once a defined time interval has elapsed, it performs Internal Calibration. Leveling : Balances have adjustable feet for maintaining / providing uniform level. Statistics : This smart feature enables the user to obtain the statistic of the data stored in the scale including details such as number of readings, minimum value, maximum value, standard deviation, difference and Coefficient of variance.